It is easy enough to make a wood-burning fireplace an interesting focal point in the winter when it glows with an inviting warm fire. But once hot weather rolls around, a fireplace often seems like just a dark, empty space. 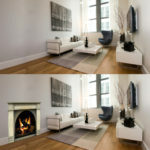 Even when not in use, a fireplace remains a focal point and people`s eyes are naturally drawn to it. So, why not clean out your fireplace and use it as a display space in the summer? 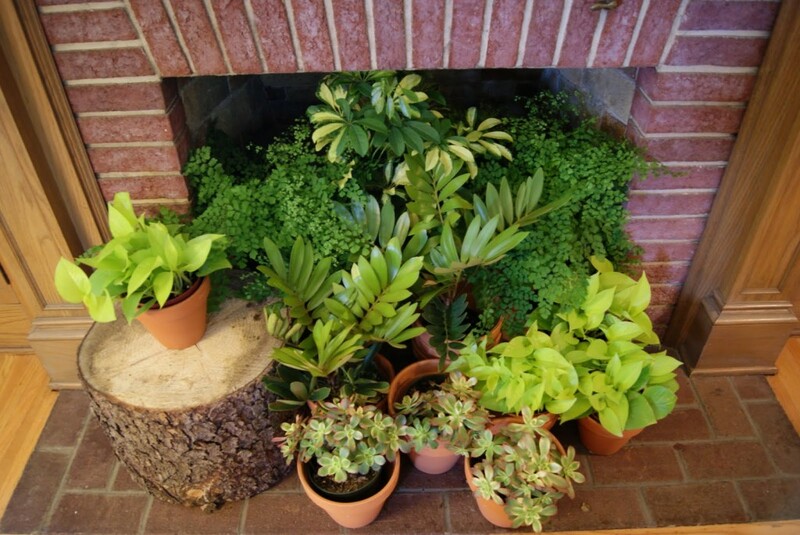 Plants are an ideal warm weather display for indoor fireplaces. Place three or more tall or oversized vases full of freshly cut, summer blooming flowers right in front of the fireplace to bring summer into the room. Arrange a few shorter vases of flowers on the mantle. Keep the summer theme going by using green vases if you have a white wall behind your mantle, or use clear glass containers to promote a more ethereal vibe. Arrange a variety of potted plants in front of your fireplace. Use plants with various shapes, textures and sizes to add interest to the space. Use pots in styles and colors that complement the room`s decor. Find a shade tolerant plant to place directly inside or in front of your hearth if the space offers little to no natural lighting. Many bamboo varieties don`t need much sunlight but will require frequent watering and the occasional feeding. Weave a strand of small, soft white lights into plant and flower arrangements to give you a cozy ambiance in the evenings. 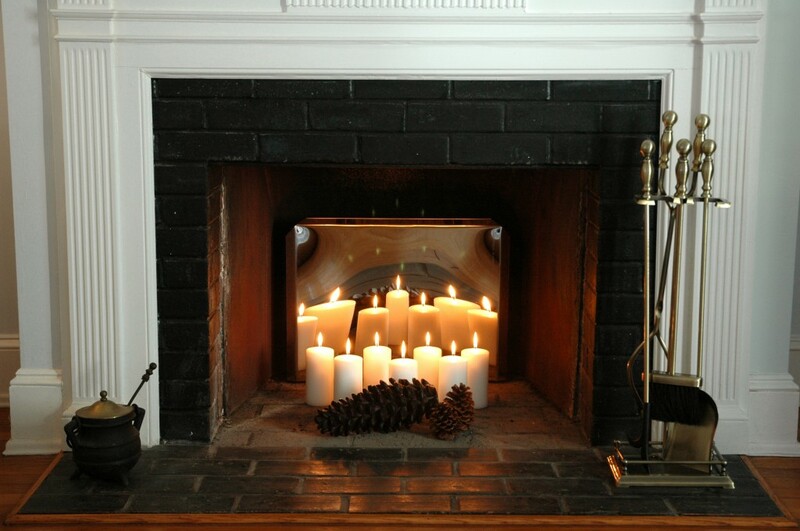 Place candles inside of your fireplace to keep it looking cozy throughout the summer. 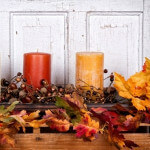 Large candles of various heights can create a pretty, inviting glow while putting out very little heat. For a dramatic candle display you can use fireplace candle holders. Candelabra can fill your entire fireplace by staggering the height of the candles. They come in a wide range of styles and materials, from traditional steel or iron to modern and sleek glass and stainless steel. Candle displays are also great for decorating the mantle. 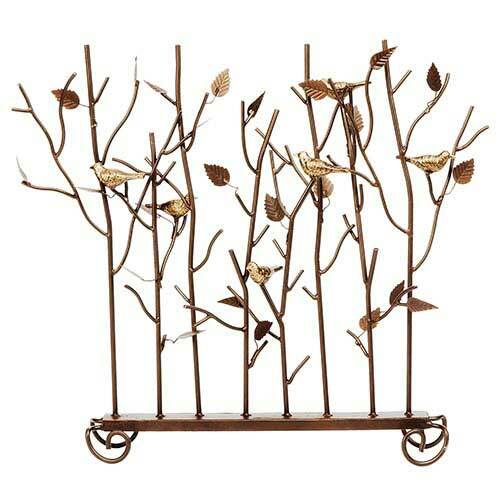 Use unique candle holders and candles of different heights, sizes, colors and shapes. Light the candles on evenings when you wish to set a romantic mood. To really set the mood for summer, use scented candles with summery smells. Honeysuckle, lavender, rose, fresh rain, crisp linen and any citrus scent are all perfect fragrances to complement sunny summer days. For an outdoor fireplace, add citronella candles to keep the mosquitoes away. You can display nearly any type of collection in your fireplace during the summer, from brightly colored glassware to pretty seashells and coral. You could stack up vintage suitcases or books inside the space as well. Place sculptures or small paintings directly inside of your fireplace to add a more artsy vibe to the room. If you like the natural look, arrange wicker baskets with pine cones, smooth stones or even uniquely shaped driftwood inside the space. 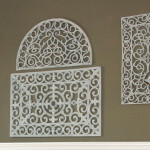 If you don`t have time to style your fireplace, make it look more decorative with a summer fireplace screen. You could use a large painting with bright colors or purchase a screen in a style that matches your decor. Throw down a few shaggy rugs in front of the fireplace and you`re good to go! Use these fireplace summer decorating ideas to enjoy your fireplace even in warm weather. Last updated by Tom at October 6, 2018 . Tom has been writing for the FireplaceMall.com blog since 2011 and has loved sitting in front of the fireplace since he was an itty-bitty boy. ‹ Win a Leprechaun's Pot o' Gold! 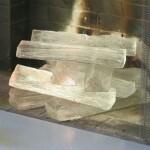 1 Pings/Trackbacks for "Summer Decorating Ideas for Your Fireplace"